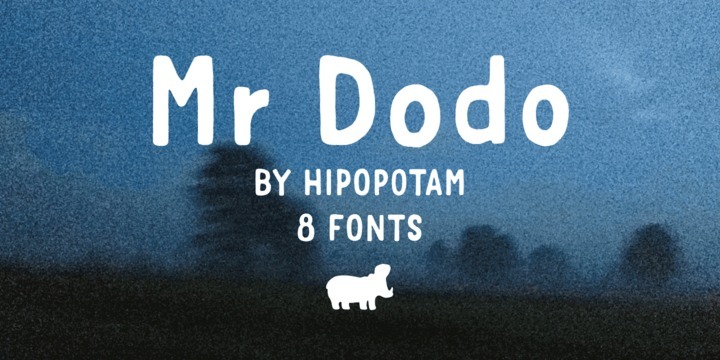 Mr Dodo is a sans-serif hand-drawn created by Aleksandra and Daniel Mizielinscy and published by Hipopotam Studio that has eight styles, each style hand drawn separately, three alternate glyphs. It is ideal for headline, invitation, poster etc. A font description published on Wednesday, October 23rd, 2013 in Fonts, Hipopotam Studio by Alexandra that has 5,356 views.